Boy, I hated this game when I first got it. I read loads of great reviews about the game, saw the graphics in Commodore User, but when I played it and couldn't figure out how to cross the river to reach the end of level one, I put the game away in frustration, not to play it again until a few years later when I finally figured how to beat it! 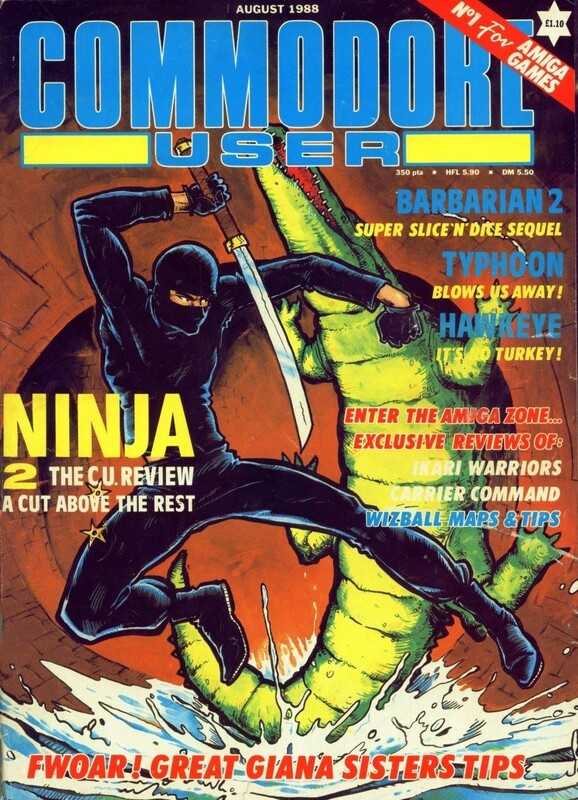 Since then, it has easily become one of my favourite Commodore 64 games of all time. Anyway, whilst rummaging through some old Commodore magazines from 30 years ago, I found this from August 1988 and issue 59 of Commodore User. This was my first glimpse of Last Ninja 2.